Photoshop CS5 Now Available For Instant Download! 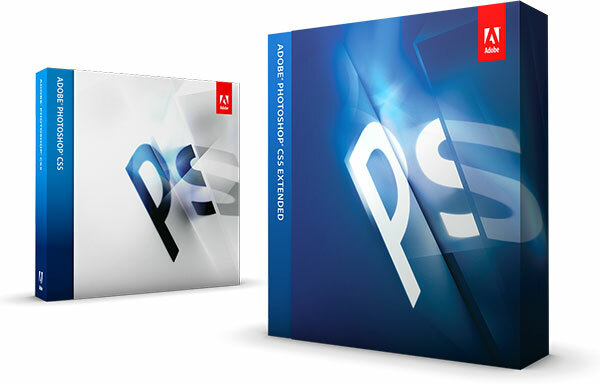 Industry-standard Adobe® Photoshop® CS5 delivers breakthrough capabilities to help you create images with impact. Easily select and mask intricate image content, such as hair. Remove any image element and see the space fill in almost magically. Create stunning high dynamic range (HDR) images. Paint with naturally textured brushstrokes and realistic color blends. Remove noise, add grain, and create vignettes with state-of-the-art photography tools. Enjoy fast performance with full cross-platform 64-bit support and dozens of other time-savers. Complex selections made easy – Get precise results in fewer clicks when selecting intricate image elements, such as hair, and eliminate background color around selection edges. Automatically vary selection edges and perfect masks using new refinement tools. Superior HDR imaging – Create photorealistic or surreal high dynamic range (HDR) images with unprecedented speed, control, and accuracy. Get better-than-ever results thanks to automatic ghost removal and greater control with tone mapping and adjustments, and even give single-exposure photos the look of HDR. State-of-the-art raw image processing – Use the Adobe Photoshop Camera Raw 6 plug-in to nondestructively remove image noise while preserving color and detail; add grain to make digital photos look more organic; enjoy more control as you perform post-crop vignetting; and more. Extraordinary painting effects – Achieve artistic results with the Mixer Brush, which offers on-canvas color blending, and Bristle Tips, which let you create lifelike, textured brush­strokes. Puppet Warp – Precisely reposition or warp any image element. Swing a raised arm to a person’s side in a photo, stretch text to create new effects, and more. Automatic lens correction – Save time with automatic correction of lens distortions, chromatic aberration, and vignetting. Photoshop CS5 uses an image file’s EXIF data to make precise adjustments based on the type of camera and lens you used. Efficient workflow – Enjoy productivity and creativity boosts thanks to dozens of features and enhancements requested by Photoshop users. Straighten images automati­cally, pick colors from an onscreen color picker, adjust the opacity of many layers at once, and more. Better media management – Easily manage media with more flexible batch renaming, and access your assets in the context of what you’re working on by using the customizable Adobe Mini Bridge panel in Photoshop. Streamlined creative reviews through integration with CS Live services – Use Adobe CS Review, part of new CS Live online services*, to initiate a more secure review without leaving Photoshop. Reviewers can add comments to your images from their browsers, and you see those comments appear automatically on your screen. New GPU-accelerated features – Take advantage of GPU-enabled enhancements to everyday tools. Crop with the Rule of Thirds grid; zoom with click-and-scrub functionality; and sample colors with better visualization and an onscreen color picker. Easier user interface management – Use the collapsible Workspace Switcher to quickly navigate and choose among favorite user interface configurations. Live workspaces automatically record your user interface changes so panels will remain in place even if you switch away for a while. Superior black-and-white conversion – Explore an endless variety of B&W looks. Use the integrated Lab B&W Action to interactively convert color images; create gorgeous HDR black-and-whites with greater ease and speed; and experiment with new presets. ‘Get Extended’ and discover new dimensions in digital imaging. Adobe Photoshop CS5 Extended is the ultimate solution for advanced digital imaging, delivering all the editing and compositing capabilities of Photoshop CS5 plus breakthrough tools that let you create and edit 3D and motion-based content. Create 3D logos and artwork from any text layer, selection, path, or layer mask with new Adobe Repoussé technology. Twist, rotate, extrude, bevel, and inflate your designs. Enhance 3D objects and designs with easy shadow creation, image-based lights, and materials like glass and chrome. Explore with different focus points in your 3D scene by adjusting the range for depth of field. Photoshop CS5 runs 64-bit native on Mac OS X, Microsoft® Windows Vista®, and Windows® 7 platforms. It can also run in 32-bit mode across all platforms, including Windows XP. 64-bit users should realize noticeably greater gains in performance, in some cases as much as ten times the previous speed.